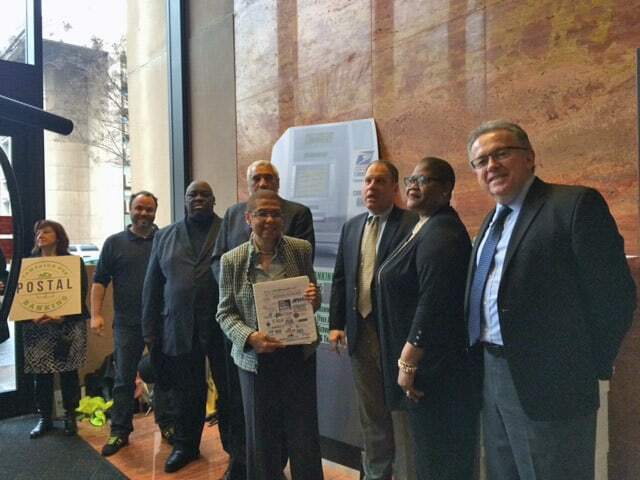 The Campaign for Postal Banking, Campaign for America’s Future and dozens of other national consumer, labor, and civic organizations on Wednesday delivered petitions signed by more than 150,000 Americans, asking the U.S. Postmaster General to implement postal banking. Postal banking would provide low-cost financial services through the nation’s 30,000 U.S. Post Offices. If this reminds people of the way the U.S. health care system only offers predatory insurance companies with no “public option,” there’s a reason. The U.S. Postal Service (USPS) could provide an affordable, high quality “public-option” alternative right now. But in our rigged system, it doesn’t. 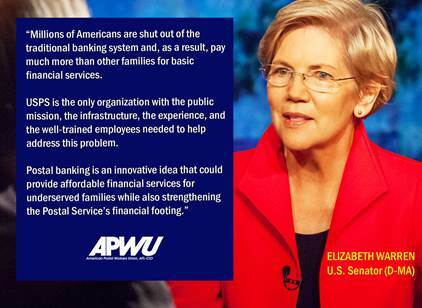 Postal banking is a non-profit banking “public option” that would both serve Americans who need this service – and help preserve the USPS at a time when it is under attack by the same privatizers who have rigged the rest of our system against us.